Unlike other strange animals that have been previously featured on the site, it's pretty much obvious why the striped pyjama squid was named this way. 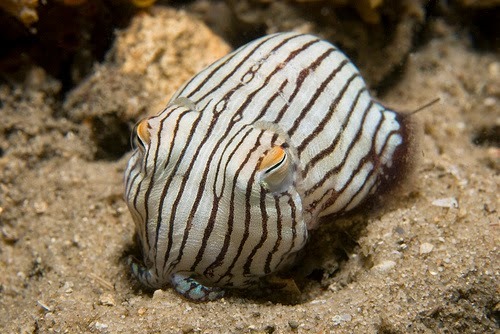 Although technically a cuttlefish and not a squid, it does look like it’s wearing striped pyjamas. The species occurs exclusively in the southern Indo-Pacific and can be found in eastern, southern and western Australia. Individuals usually hide on the sea floor, inside sand or mud, and amongst seagrass in waters of up to 20 meters (~60 feet) deep. It has a small and rounded body, with an average mantle length of 5 cm (~2.0 in), with the biggest ever recorded specimen being 7 cm (~2.5 in.) long. The body is covered by thin dark brown longitudinal stripes and has a creamish background while some individuals present with a mottled purple-brown color pattern. S. lineolata possess a pair of kidney-shaped fins on the mantle. The body has no shell. It has 8 short, webbed arms that come with small suckers, each with a toothed horny rim and two retractable feeding tentacles, again each with a toothed horny rim. The protruding eyes have an orange upper lid and finger-like papillae over them. Leaving their pyjama-like coloration aside, their body resembles a dumpling. 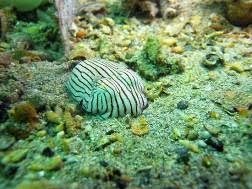 This is why the species is also known as the Striped Dumpling Squid. The underside of the head and body is covered by numerous small glands that secrete a slime-like substance (mucous). These little critters spend most of the day buried in the sand or mud, with only their eyes protruding. 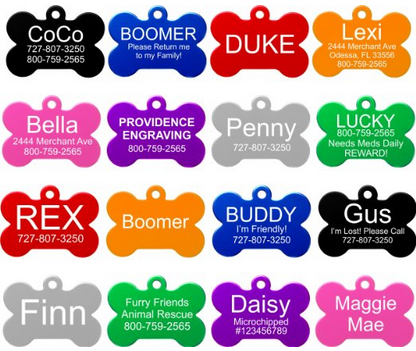 This allows them to hide from predators and to catch unsuspecting prey as well. They become more active during the night, leaving the bottom - swimming in short hops - to go for hunting. They feed on small prey, like shrimp, fish and other mobile invertebrates. During the mating period, the male grabs any passing female. The species mates face-to-face and then the male places sperm packets in a pouch below the female's mouth. If she has already mated, the male will use a special lower arm to scoop out the existing sperm. Females lay white spherical eggs in clumps, on rock crevices, under loose rubble or other objects like shells and tin cans, and stay with them until hatching occurs. The emerging hatchlings look like miniature-adults, possessing the characteristic pyjama-like pattern at birth. The newborns quickly hide into the sand. 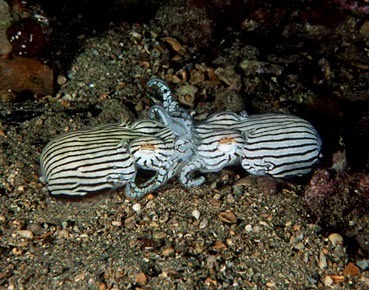 Video showing striped pyjama squids. The species conservation status is not assessed by the IUCN and there is little data on overall population size, threats and their potential impact. Fortunately, there seems to be no commercial or pet-trade demand for these beautiful creatures. - Interestingly, the dramatic coloration of the species may be a form of aposematism, a warning signal that the species is poisonous. There is data indicating that the mucous produced by the striped pyjama squid may be toxic, although this needs further clarification. If true, Sepioloidea lineolata is just one of the handful poisonous cephalopods we know. - The type specimen of S. lineolata was collected in Jervis Bay, southeastern Australia. It is deposited at the Muséum National d'Histoire Naturelle in Paris. - Reid, A. 2005. Family Sepiadariidae. In: P. Jereb & C.F.E. Roper, eds. Cephalopods of the world. An annotated and illustrated catalogue of species known to date. Volume 1. Chambered nautiluses and sepioids (Nautilidae, Sepiidae, Sepiolidae, Sepiadariidae, Idiosepiidae and Spirulidae). FAO Species Catalogue for Fishery Purposes. No. 4, Vol. 1. Rome, FAO. pp. 204–207. - International Union for Conservation of Nature and Natural Resources. The IUCN Red List of Threatened Species. (2010). www.iucn.org.